You may shake your head in wonder at title of this blog but if you have read between the lines of Mr. Mel Brooks’ wild comedies there is a deep wisdom. This man knows human nature. He knows our foibles and he makes fun of them but he also has a lot of heart in his films. He knows the good and bad of us. He does not flinch from holding up a mirror and showing it to us. He makes fun of the bad guys like Hitler. He brilliantly spoofs classic films while he is very faithful not only to the plot line but to the actual meaning and feelings of the subtext of the old films. “What did you expect? “Welcome, sonny”? “Make yourself at home”? “Marry my daughter'” You’ve got to remember that these are just simple farmers. These are people of the land. The common clay of the new West. You know ‘morons”. 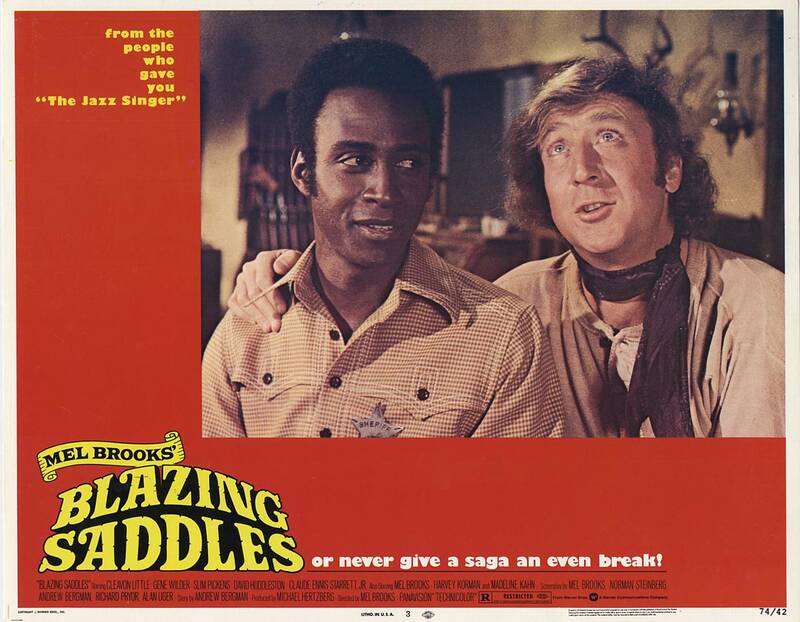 This entry was posted in Blazing Saddles, Mel Brooks Films, movie, movies and tagged blazing saddles, mel brooks by rithebard. Bookmark the permalink.